Volume 1 is published by Peter Lang, Bern. Edited by Christian Bulang, Wolfgang Neuber and Ulrich Seelbach. Johann Fischart (1546–1590) was one of the most important writers and journalists in the second half of the 16th century. 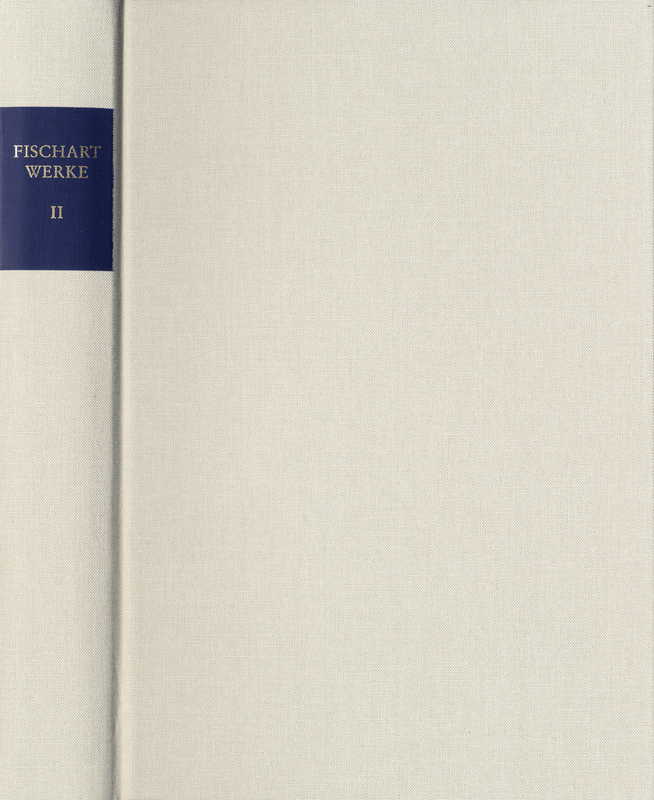 This edition contains all the works and texts which in all probability can be attributed to Fischart. This is the first complete critical edition which has been compiled in accordance with uniform principles and which will serve as a basis for literary studies and linguistics and their neighboring disciplines as well. Fischart ist nicht irgendein ›poeta minor‹ der frühen Neuzeit, sondern [...] in gewisser Weise der über dreihundertfünfzig Jahre ältere Vorläufer von James Joyce (und Arno Schmidt), ein Autor, der in seinen poetischen Verfahren vieles von dem vorwegnimmt, was vermeintlich erst die Werke der klassischen Moderne auszeichnet. Edited by Ulrich Seelbach and W. Eckehart Spengler. Edited by Christian Bulang and Ulrich Seelbach.